You didn't think they became seeing eye dogs without being tested, did you? This is a drawing I did on textured paper. The stains and dark marks are a part of the paper. Each card measures 4" x 5" and comes with a craft brown envelope in a cello sleeve. My optometrist is gonna love this one. Adorable! 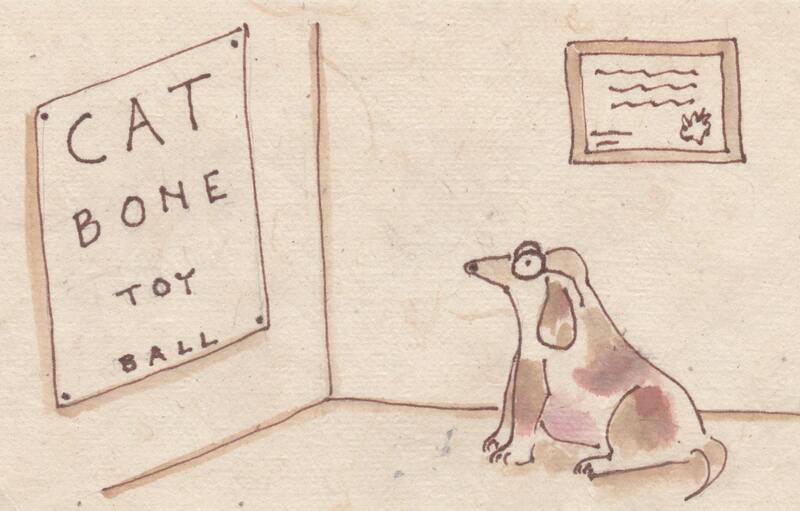 Cute card that I can send to my optometrist. Received very quickly. Love the dog cards with glasses themes ! Perfect ! This was just the right card to send to a dog loving friend who was having a bad day.